The b-side of “Open Arms” was “Little Girl,” a song that virtually no one in the U.S. had heard at the time. “Little Girl” was originally released on the Japanese-only Dream After Dream record in 1980, an album that featured the last recorded output from founding member Gregg Rolie. Somehow, I talked my mother into buying me a $20 import copy of Dream After Dream at the Camelot Music in Collin Creek Mall sometime in 1982. I still have that piece of vinyl, but it has more crackles than a bowl of Rice Krispies and it’s just not in good enough shape to warrant a rip. Dream After Dream is still available only as an expensive CD import, and someday I will break down and buy it. It’s a really cool record that sounds a lot like Journey’s pre-Perry days, although “Little Girl” certainly has the Perry magic in spades. Well, I finally did it– I shelled out $35 for a copy of the Japanese Dream After Dream CD. I feel like a 300-pound (and thirty-year-long) weight has been lifted off of my shoulders. 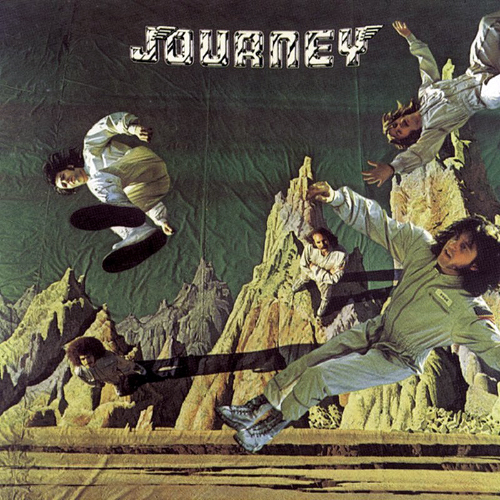 Most casual Journey fans don’t even know this record exists, so I will consider my money very well-spent if I can turn just a few folks onto this lost classic. Maybe they’ll like it enough to check out some of the band’s early (and pre-Perry) material– I have included a couple of those songs as bonus tracks for those who might be interested. 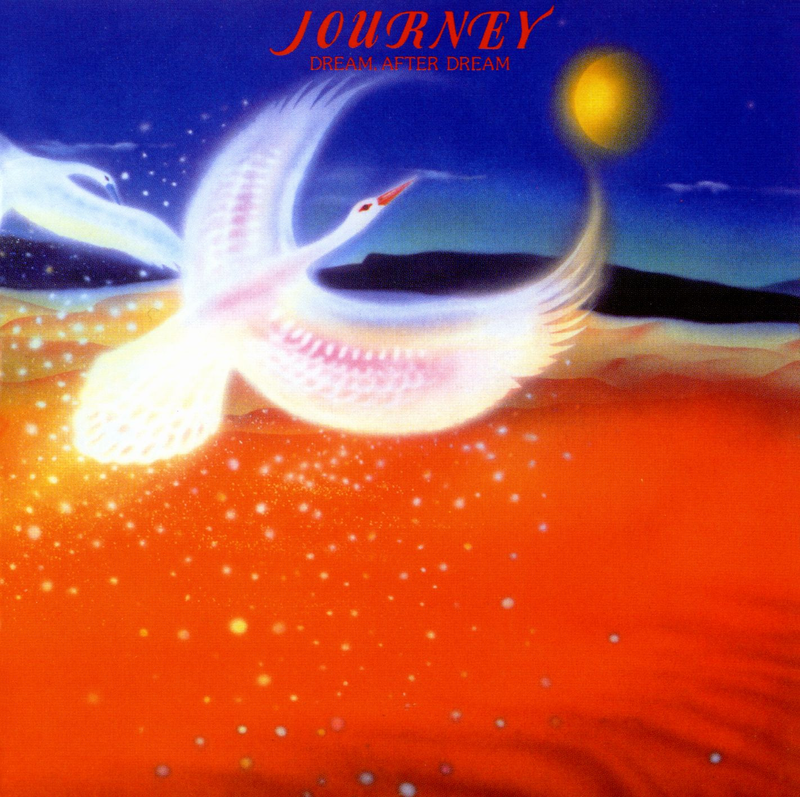 Given Journey’s place in rock history, I am still amazed that Dream After Dream had never been given a proper U.S. release. I’m glad I finally stopped waiting for one. Enjoy! Posted by The Analog Kid on November 10, 2014 in Progressive Rock, Rock, Soundtrack and tagged Analog Kid, Dream After Dream, Gregg Rolie, Journey, Neal Schon, Ross Valory, Steve Perry. in the early 80’s the folks from Journey’s Vision Management were friends of some of the folks at the radio station I worked for. We often partnered with them for Journey promotions and events (like the Rose Bowl where Bryan Adams opened*) and this is the first I’ve heard of this great album. I see why it doesn’t fit the 70’s pre-Perry stuff, nor the 80’s “hit” era with Steve, but it definitely deserves to be heard and released. 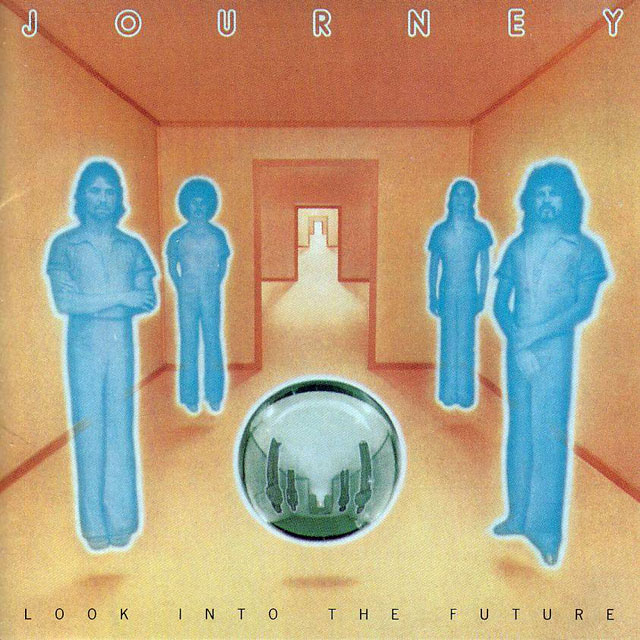 As a collector I’m astonished I was unaware of this album, even after being so connected to the Journey people. * The Rose Bowl show was memorable because during the intermission after Bryan Adams, we were throwing station frisbees down to the crowd from one of the press boxes. Then another station a few rooms down started throwing out swag from their press box until we both ran out. At that point the crowd became hysterical and started bombarding the press level with hamburgers, sodas, and day-old giant pretzels. Being a hot summer afternoon, all of the windows were open as there was no air conditioning installed until the 1994 World Cup renovations. It was a MESS. I’ve seen cleaner dumpsters. Security cleared us all out of the press boxes in disgust while the crowd was calmed down, and the press level was cleaned up while the promoters held up the show.. We were finally allowed to return just before Journey went on, and as our bosses were arriving with their new baby. (whew!) They luckily missed the commotion, and I don’t believe they ever heard about it, thank goodness. Oh those wild, wacky 80’s…. With a little searching on the internet . . . here ya go . . .